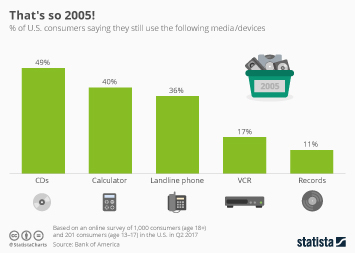 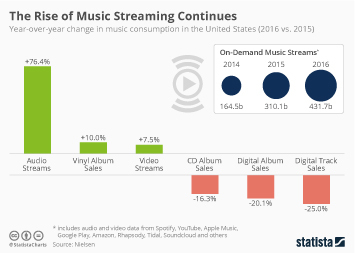 2014 saw a streaming boom which has significantly altered the music landscape. 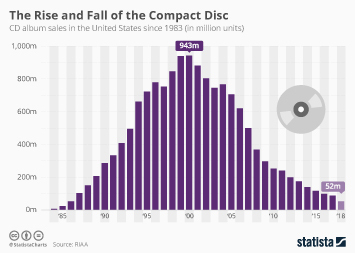 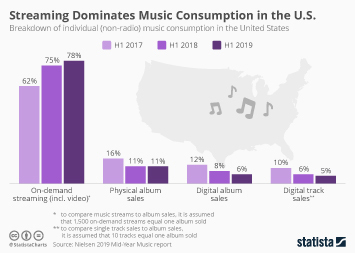 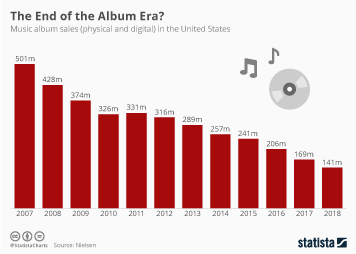 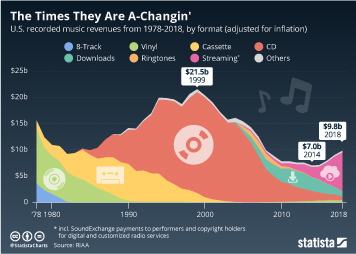 People have flocked to streaming services like Pandora and Spotify while digital downloads and CD sales have plummeted. 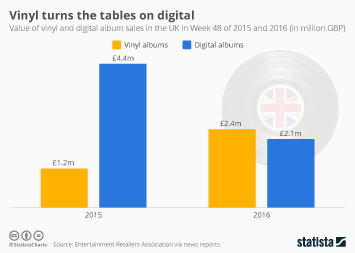 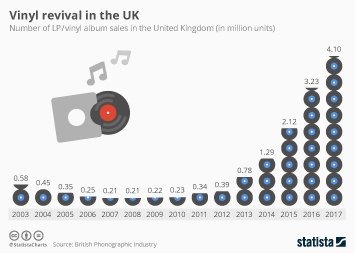 However, vinyl has remained unaffected by the shift, and its remarkable resurgence has continued unabated. 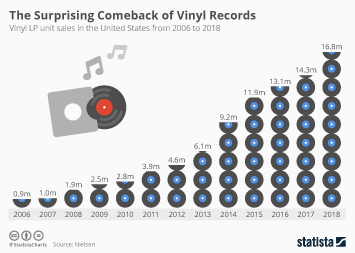 Vinyl LP sales topped 9 million in the United States last year, accounting for more than 6 percent of all physical album sales. 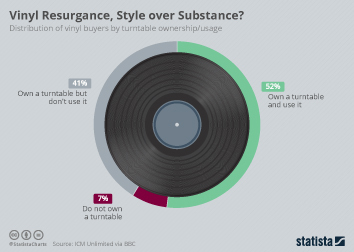 What sort of tunes are all of those vinyl lovers listening to? 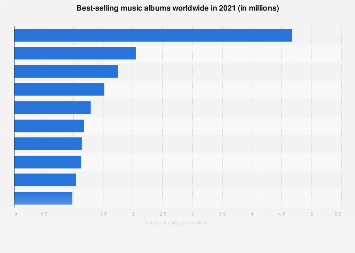 Jack White was 2014's LP champion. 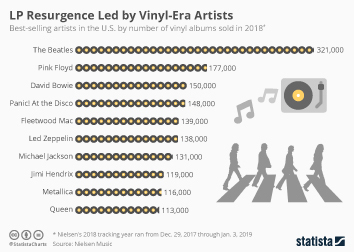 His album, Lazaretto, was the year's most popular vinyl record, selling 86,700 copies. 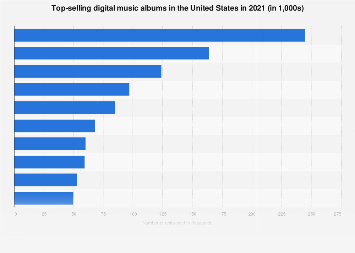 AM by the Arctic Monkeys came second with 58,700 while Lana Del Rey's Born to Die came in third with 42,100. 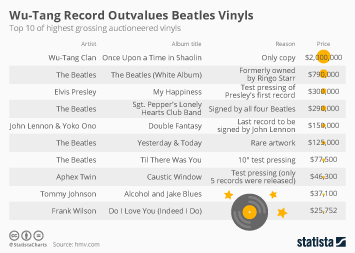 This chart shows the top-selling vinyl albums in the United States in 2014.